Bissell Blocktail Party comes back to Mangiamo! June 13 to raise money for pet organizations. What: An event to benefit organizations committed to reducing pet overpopulation and increase pet adoption. When: June 13, 6 p.m. to 9 p.m. Note: Guests are encouraged to bring their dogs, but dogs should be dog and stranger friendly. No flexible leashes, please. 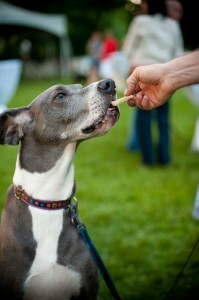 The BISSELL Blocktail Party bills itself as the “best dog-gone party in town.” It’s hard to argue with that statement. The annual event, held at Mangiamo! in Grand Rapids, raised more than $150,000 last year via ticket sales, sponsors and a silent auction. And this year’s party promises to be even bigger and better. Tickets for this year’s event, 6 p.m. to 9 p.m. on June 13, are $50 if purchased online in advance (highly encouraged) or $60 at the door. Blocktail 2012 has welcomed 10 “party partners,” organizations in the Grand Rapids area whose mission is to reduce the number of homeless pets and put a stop to pet overpopulation. 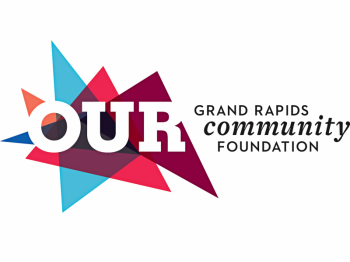 The non-profits each received a $1,000 donation for their efforts and each of them, along with any other area non-profit organization with the same mission, can apply for grants to receive a share of the proceeds of this year’s event. Applications for the grants, courtesy of the BISSELL Pet Foundation, are due June 1 and a packet and application can be found on the Blocktail website or by clicking here. Given the success of last year’s event, held in less-than ideal weather conditions, those approved for grants stand to receive some much-needed funding for their causes. 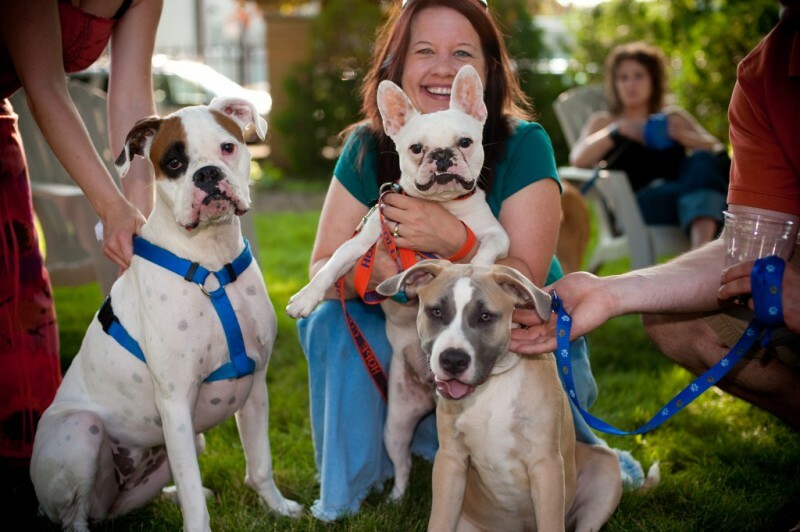 Carly Luttmann, program supervisor at the Kent County Animal Shelter, will be attending her first Blocktail. Luttmann is making strides to promote the adoption of animals through KCAS, one of this year’s party planners. Other party partners this year are Carol’s Ferals, Crash’s Landing & Big Sid’s Sanctuary, C-SNIP, Focus on Ferals, Humane Society of West Michigan, Mackenzie’s Animal Sanctuary, Reuben’s Room, Safe Haven Humane Society and Vicky’s Pet Connection. Not only does Blocktail 2012 feature new partners and new way to distribute proceeds (previously, proceeds benefited only the HSWM), it also will deliver new features to the event itself. The Gillmore Collection, which provides food for Blocktail, this year will offer vegetarian and vegan cuisine in addition to its usual fare. Also new to Blocktail this year will be a photo booth from Dan Terpstra of Terpstra Photography, featuring props and fun backdrops so the many attendees who bring their dogs can bring home a keepsake. Those who have attended Blocktail in the past know that many guests choose to bring their furry family members, providing party-goers with a glimpse of a wide variety of dogs, from rare breeds to mixed breeds. Pruski added that dogs should be on non-flexible leashes (if you’ve ever seen the crowd at Blocktail, you’d understand why) and that any dog adopted from a shelter will receive an orange bandana at the event to let everyone know they’re a rescue. 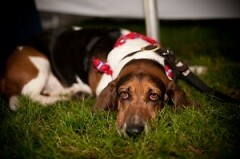 Dogs available for adoption at the event will be featuring pink bandanas. A fabulous new auction item this year, Pruski said, is a one-week stay in a condominium in Jaco, Costa Rica. Also among the auction items is the ever-popular dinner in your home prepared by Grand Rapids chef Tommy Fitzgerald, a wakeboard and wakeboard lessons, Schwinn bicycles, spa packages and, of course, incredible artwork. An item sure to fetch big bucks is the chance for a guest’s dog to be next year’s “Blockstar.” The winning bidder will have their dog featured on all Blocktail promotional material, including the website and billboards in the Grand Rapids area. For more information on Blocktail 2012, check out the event’s website or Facebook page.